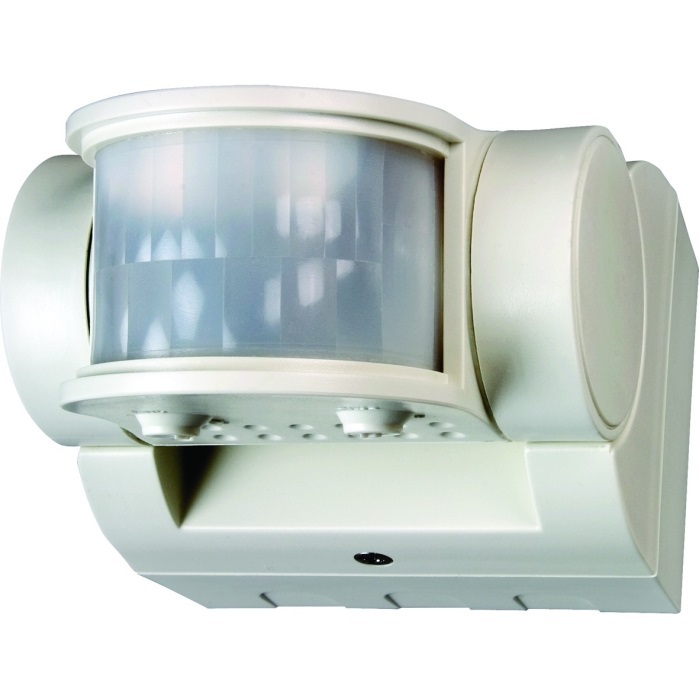 180 PIR Light controller switches ON connected lighting when movement is detected. 12 metre range with a total PIR switching of 2000W incandescent/halogen or 500W fluorescent/low energy lighting. 12m detection range with 180 area of detection. Total PIR switching: 2000W incandescent/halogen, 500W fluorescent/low energy. SLW2400, MTLW3000, NSLOD2000, NSLB2000, NSLW2000, MLB3000, MLW3000, MLSA360 can be wired in parallel to enable any detector to turn ON all the lights connected. The load must not exceed the lamp rating of a single unit.